In early February, ARMA was one of 55 signatories to an open letter published in The Times newspaper from the Association of Directors of Public Health. 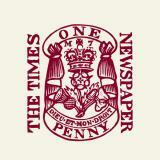 The letter argued that public health should be a priority in the Spending Review. “Tackling the root causes of ill health and creating places in which we can all be healthy is the mission of local government. If we undervalue this public health expertise within local government, the NHS Long Term Plan simply cannot be delivered. “Directors of Public Health can provide the leadership needed to drive improvements in the determinants of health – housing, air quality, crime and poverty – alongside community public health services, such as alcohol treatment and stop smoking services, which are just as vital as hospital-based support. Read the letter on The Times website (pay-wall) or download the statement from the ADPH. NASS was delighted to welcome 200 guests, including 30 MPs, to a reception at the Houses of Parliament on Monday 3 December to launch their Every Patient Every Time campaign and hold their Patients’ Choice Awards. Announcements included the new All-Party Parliamentary Group for Axial Spondyloarthritis, which will oversee the implementation of the NICE Guideline and Quality Standard for Spondyloarthritis, and the Aspiring to Excellence programme which will encourage rheumatology departments around the country to share best practice and improve services in a collaborative manner. The event culminated in honouring recipients of the 2018 Patients’ Choice Awards – given to health care professionals who had been nominated by their patients for their outstanding care during the year. Click here to learn more about Every Patient, Every Time and here to see who’s been honoured in the awards. The Chartered Society of Physiotherapy has released a short Christmas film called Never Too Late as part of their “Love Activity” campaign. 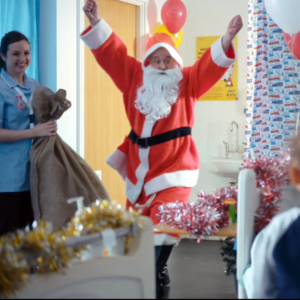 The film is a heart-warmer about a physio who helps a lonely widower regain his strength and sense of purpose so that he can return to his role playing Father Christmas at the local children’s ward. Alongside the video, a webpage includes six exercises that can help people stay strong and independent this winter. The short film is available via the CSP webpage or on social media. Monday 5 November will see the launch of the first national campaign by Versus Arthritis in their new guise and brand. As you know well, all too often, arthritis is dismissed. It is seen as inevitable, unavoidable, insignificant and untreatable. Society shrugs it off as “just a bit of arthritis”. The new campaign aims to drive greater recognition of arthritis and related conditions across government and society. Versus Arthritis wants to create an environment where the 10 million people with arthritis can live better – free from the pain, fatigue and isolation. The campaign will feature bold TV advertising, national press coverage and social media activity, including a variety of stories and support from celebrities and sportspeople to businesses and healthcare professionals. They’ll be asking people to declare themselves #VersusArthritis on social media and they would love for you to do the same. So please keep an eye on social media channels and share/retweet where you can. If you would like more information or to discuss getting in involved please contact Éilis O’Connell at e.oconnell@versusarthritis.org or 0207 3806 528. It’s highlighting that musculoskeletal conditions of the bones, joints and muscles are a big problem in the UK; with over 17 million people living with a musculoskeletal condition, more people suffer with disability from musculoskeletal conditions than anything else. The aim of the campaign is to encourage policy and decision makers to shift mindset and take action to champion good musculoskeletal health of the bones, joints and muscles throughout life. For Bone and Joint Week, we’re releasing a series of infographics with key messages throughout the period that the ARMA policy and communications professionals crafted. Please retweet them from our account on @WeAreARMA. Lookout for Vlogs from during the event too. NHS England and Public Health England are supporting the event as well. Alliance members are using #BoneJointWeek during the period and we encourage you to tweet with it! During this annually occurring event there are dedicated days to highlight major rheumatic and musculoskeletal conditions. Throughout April, the Institute of Osteopathy has been promoting their #LoveYourHealth social media campaign, showcasing key health and wellbeing messages with the public. The focus of the campaign was to provide practical advice and tips to help people make informed decisions to improve their health. The focus of the social media campaign was to promote the positive role that osteopathy plays in supporting the health of our patients. You can access the resources at www.iosteopathy.org/osteopathy-for-health and support the campaign by using #LoveYourHealth on social media. We would like to thank sincerely the members of ARMA who supported this campaign and shared #LoveYourHealth messages with their followers. 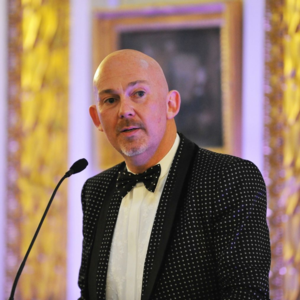 On 20 March 2018, Arthritis Research UK hosted its first parliamentary event of the year, sponsored by Andrew Bowie MP. 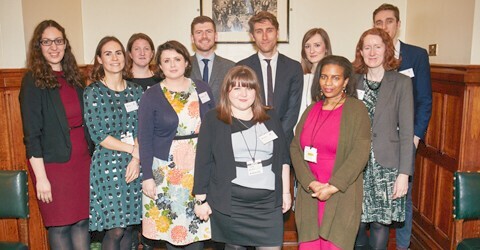 The drop-in event attracted almost 50 MPs, alongside MP researchers, who came to find out how they can support constituents affected by arthritis. 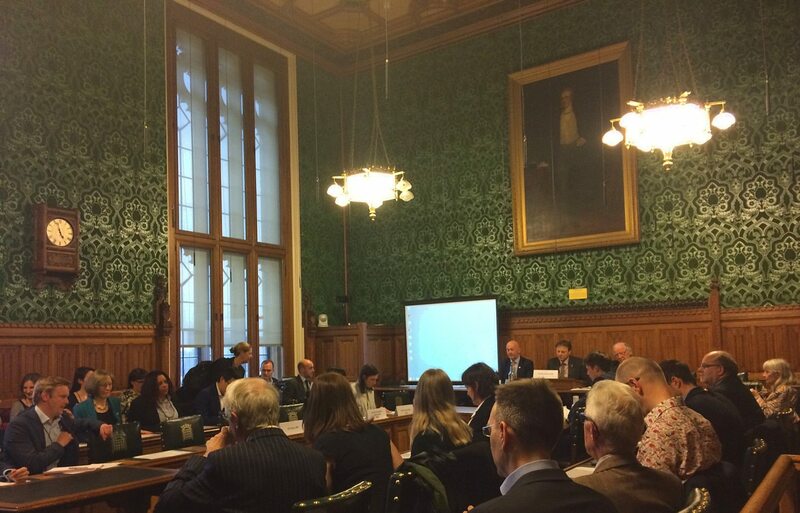 Thank you to everyone who took our e-action in advance of the event, and asked their MP to attend. It certainly made a difference, with some MPs saying they only knew about the event because their constituent had raised it with them. If you’d like to support our work in this way, you can join our campaigner network. MPs from across the UK spoke to people living with arthritis, learned about the services we offer, talked with our research team about our current projects and success stories, and discovered how many people in their constituency are affected by arthritis. Attendees also had the opportunity to try on our arthritis gloves which simulate the mobility restrictions arthritis can cause in hands.